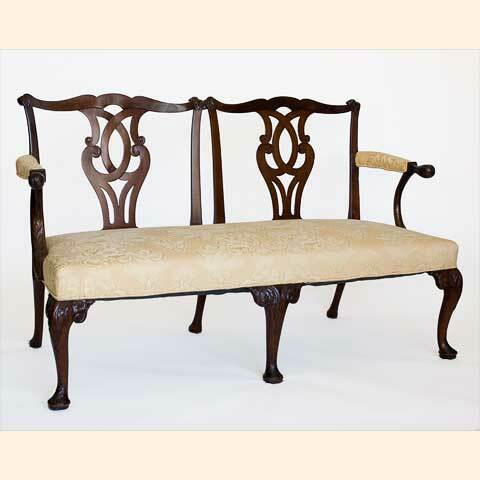 18th C Georgian Mahogany Settee. Well formed double chair back. Shaped top rail with carved ears, arms and supports. 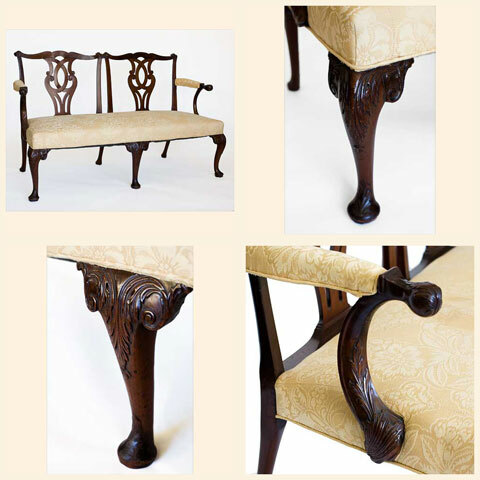 Cabriole legs with acanthus carved knees and pad feet. Old repairs to the back/stable. Some refinishing to repaired areas.